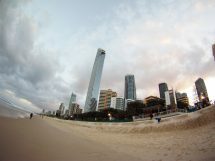 Experts from Macquarie University and James Cook University are calling for scientists, engineers and planners to work together to manage the burgeoning growth of new construction on Australia’s coastline. Dr Nathan Waltham is a Senior Research Scientist from the Centre for Tropical Water and Aquatic Ecosystem Research (TropWATER) at JCU. He said 10 percent of the coastline adjacent to the Great Barrier Reef is now affected in some way by development and ‘business as usual’ is no longer an option, with the altered coastline fracturing natural habitats. “While we know a lot about the impact of coastal urban development, less is known about potential strategies to manage these impacts,” he said. “There is an urgent need for scientists, engineers, and planners to consider together the challenge of managing our coastal footprint, and balancing that with outcomes that are positive for the environment,” he said. Dr Waltham has co-edited a special edition of the journal Ecological Engineering. It features a collection of studies from ecologists, eco-economists and geographers from around the world focusing on how infrastructure can be “eco-engineered” for better outcomes. Dr Katherine Dafforn is a Senior Lecturer at Macquarie University and co-editor of the special issue. “We have 12 papers in this special issue that collate eco-engineering ideas and new knowledge contributed by researchers from around the world,” said Dr Dafforn. Dr Dafforn said there is a need for early integration of eco-engineering insights in the design of new coastal development projects, but opportunities to retrofit existing marine structures are also possible. “As a science community, we are optimistic that the science of ecological engineering is progressing rapidly, but there needs to be more funding directed towards eco-engineering research to meet the pace of coastal development,” said Dr Waltham. The Special Issue Ecological engineering in the coastal seascape appeared in the journal Ecological Engineering. It is available from Dr Waltham or Dr Dafforn.